I have to say that this edition of the Superstar Shake-Up was a torrent of both ups and downs. And I mean that about both brands (assessment here). There are certainly a lot of positive signs for the immediate future. But there were also a few disappointments that I will mention here. 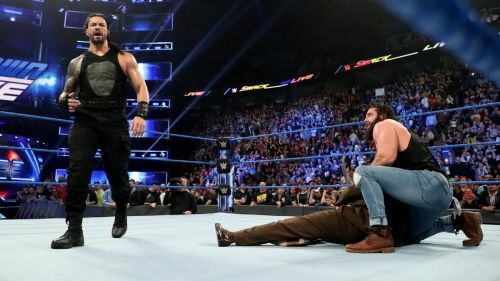 Welcome to the 'Best and worst' of SmackDown Live. As always, I invite you to share your thoughts on the article and the show. Mind you, this is not a results piece, and if you want a complete run-down of what happened during the show, check out this completely different section. But without further ado, let me launch into this week's edition of 'Best and Worst'. Thank you for reading this week and on other weeks, dearest reader. How would you honestly rate this edition of the Superstar Shake-Up? I know that you guys are already booing me but I'm going to go and call this a best. This is because this is a fresh departure for the Big Dog and because it is clear that he's not in the title picture at least for right now. Do you really want to see Seth Rollins and Roman Reigns feud over the Universal Championship? Or would you rather have him on brand blue? I also liked the fact that Vince McMahon allowed himself to be taken out by Roman Reigns. Say whatever you want to about the man, about how he's senile and no longer in touch with the pulse of the WWE Universe, but McMahon is willing to do things in the ring that others would not. And the move worked. Roman Reigns actually got cheered for knocking his boss out!